JD Richmond wanted a multi-purpose vehicle, so we built this 3-in-1 body; a dropside body truck, a container carrying truck and a beavertail. 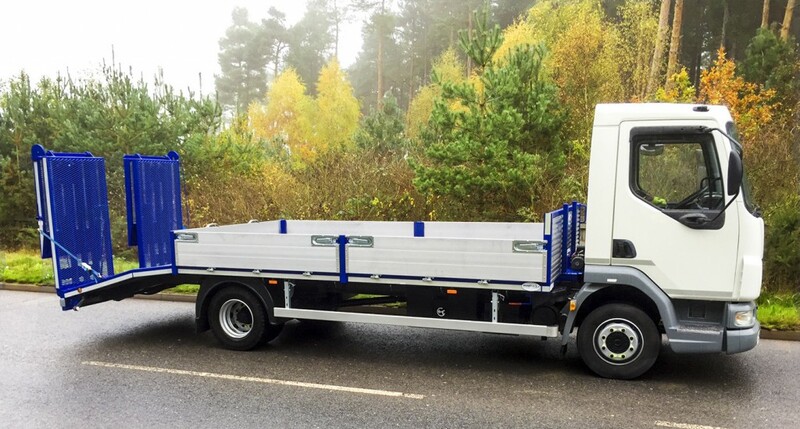 This 12 tonne DAF is an older euro 4 chassis, which was chosen by the customer to give the best payload. Please note, the chassis was not weighed before the build so these figures are excluded in the specifications below. 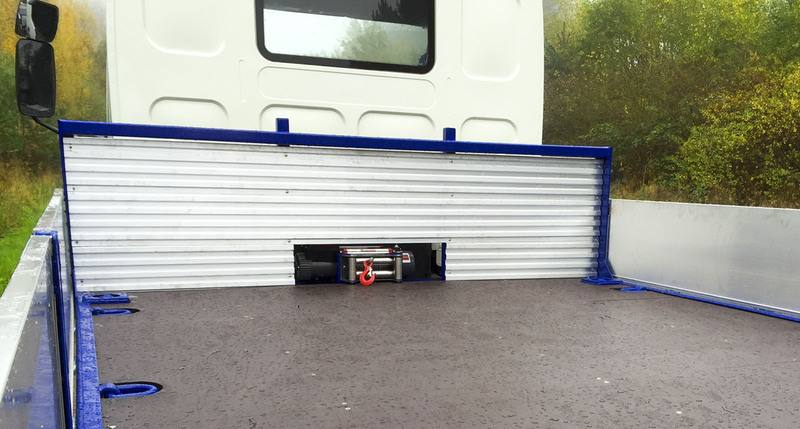 I would like to thank Shawtrack for their help in making the truck body for my company. 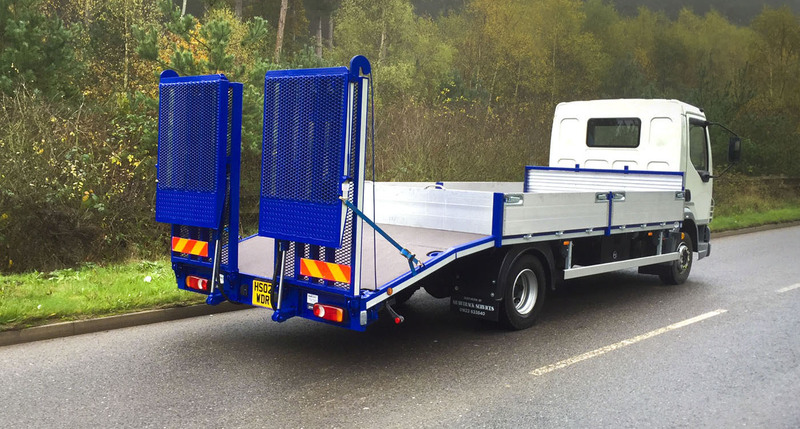 Having had truck bodies built from Shawtrack in the past, it was an easy decision to make. Shawtrack completely lived up to their reputation and I am thrilled with the results, I have a truck that can do everything that I need it to. 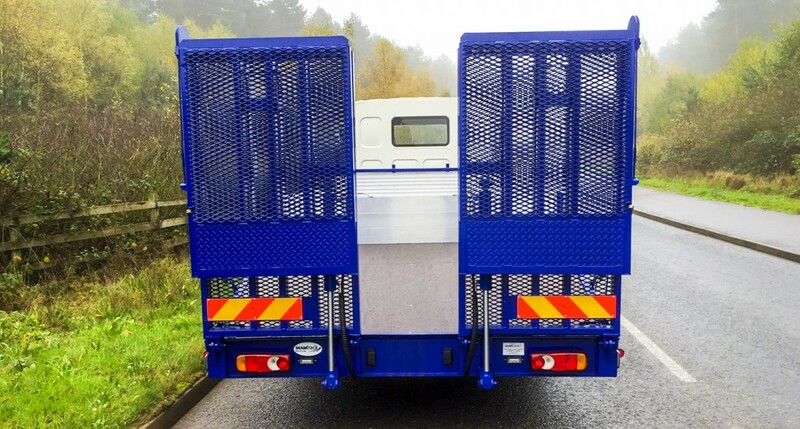 Features include twistlocks, split hydraulic ramps, fully removable and storable dropsides to create pen on flat deck of bed and 4000lb winch. 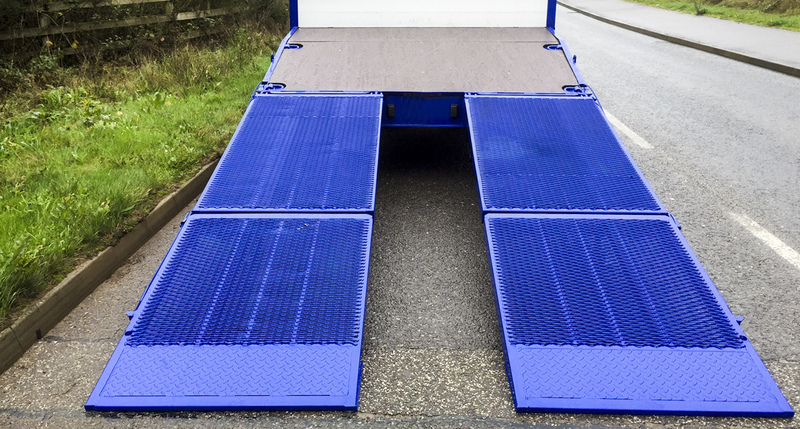 The ramps are secured just short of the vertical position to allow for container loading along the full length of body.